As expected, the Balochistan Awami Party (BAP) grabbed more seats than any other party in the legislative provincial assembly in the 2018 General Elections. Though they did not win an absolute majority, BAP has enough elected members to attract other parties and independent candidates to form a coalition government. In the entire history of the province, there has never been a political party that has enjoyed an absolute majority in the assembly, so switching party loyalties to form a coalition government is a common occurrence. Of the 50 members of the house, the BAP acquired 17 seats, with two of them going to independent candidates. 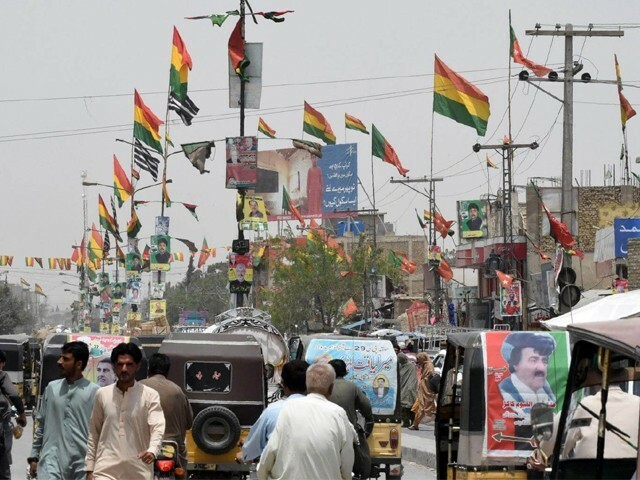 Muttahida Majlis-e-Amal (MMA) got nine seats, the Balochistan National Party-Mengal (BNP-M) got six seats and Pakistan Tehreek-e-Insaf (PTI) got four seats respectively. The Awami National Party (ANP) secured three and the Hazara Democratic Party (HDP) won two seats. The MMA emerged as the second largest party, while the BNP-M secured third place by clinching six seats. These results were not unexpected. The only surprise was that both parties gained more seats than the previously powerful National Party (NP) and Pashtoonkhwa Milli Awami Party (PMAP). In the 2013 elections, the NP and the PMAP were both accused of using the support of the establishment to emerge as winners. These two parties are now themselves accusing the same establishment of rigging the elections in favour of their opponents. Both parties have legitimate concerns because intervening in elections is not uncommon in Balochistan and it is really shocking that NP has not won a single seat. If all goes according to plan, the BAP’s Jam Kamal Khan is expected to become the chief minister of Balochistan. 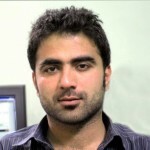 In Balochistan, however, one cannot always count on the support of fellow party members, especially in the case of a party like BAP, which is largely made up of politicians who want to remain in government so that they can continue to enjoy the perks and privileges of their position, just as they have been doing for decades. The BAP is made up of parliamentarians who do not need a party name to win elections in their respective constituencies. These same people have been in government on and off since the 2000s. I personally would not be surprised if the entire BAP team joins the PTI, but it is unlikely to happen now. The BAP’s Chief, in an interview with the Express Tribune’s Quetta correspondent, said his first priority is the utilisation of the province’s available resources and funding shortfalls. The fact that Balochistan does not have officials and leaders who know how to use allocated funds wisely is a cause for genuine concern. A senior official serving in Balochistan’s health department during the last government told me that billions of rupees go unused every year. Khan is aware of this problem but has no plan for resolving it. This means that even if there was no corruption in the province, the problem of utilisation of available resources would persist. Khan justifies close ties and cozy relations with the military by citing the proximity to Balochistan’s borders of hostile neighbours and the war-like state the province has been living in for decades. He believes that given this state of affairs, it is entirely appropriate to have strong ties with the military. Since the security forces in the province are accused of engaging in illegal detention and enforced disappearances, Khan’s statement makes him a clear party to this ongoing conflict. The BAP is basically the same old faces under a new label and yet they insist that they are going to develop Balochistan and create a brighter future for the province. Not a word is said about the most important and pressing issue facing the province – maintaining peace and protecting the borders. For the people of Balochistan, peace and protection is priority number one, even more important than development. Another strike against the BAP is that it has been accused of relying on support from the establishment to get its members elected. In light of these liabilities and the fact that BAP members are notorious for switching loyalties and allegiances whenever they deem it expedient, it is hardly surprising that people’s expectations for this party are low. The BNP-M, on the other hand, is viewed by many as the representative party of Baloch and partially Pakhtun-dominated areas in the province. In the previous government, the BNP-M Chief and former Chief Minister Sardar Akhtar Mengal formed an alliance with dissidents from the Pakistan Muslim League-Nawaz (PML-N), now members of the BAP, to topple the government of Chief Minister Sannaullah Zehri. Mengal earned respect in the province because of his vocal and forthright championing in the national media of the pressing issues facing Balochistan. But many are unhappy about some of his recent alliances and his party was also accused during the elections of being embroiled in the issue of missing Baloch political activists. While it has not yet been decided whether Mengal will sit with the government or the opposition in the new assembly, people are still hoping that he will live up to his promise. Another election surprise was the victory of the talented retired senator Sanaullah Baloch in the constituency of Kharan, a seemingly impossible feat that ended over 30-year rule of Nausherwani family. People expect more from the BNP-M than they do from other political parties because it has been very vocal on Baloch issues. However, it remains to be seen how the BNP-M will play its cards. While Mengal and Baloch have maintained a far more active and vocal role on social media than other political leaders in Balochistan, it’s now time to get serious and deliver on their promises in the legislative assembly. If they fail to carry their weight as members of the opposition or the coalition government, people will not be kind in their judgment of them. Will Sadiq Sanjrani’s appointment as Senate chairman help Balochistan in any way? Has Quetta’s charm been lost forever?